Get the mortgage loan that’s right for you. We offer the best mortgage rates available for new home purchases, refinancing, and new home construction. Let us help you on your journey to the perfect home. Buying a house doesn’t have to be difficult. Whether you’re a first-time home buyer or looking into refinance mortgage rates, we have the information and tools that you need to make a qualified, educated decision. 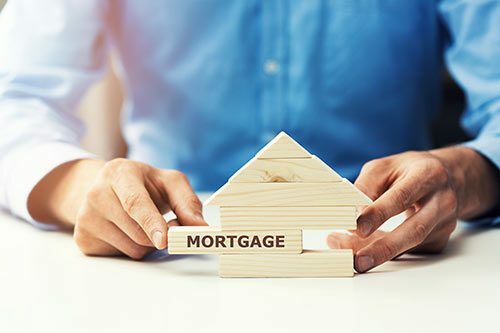 Use our mortgage loan calculator to figure out your mortgage payment, follow our mortgage news to get current mortgage rates, and look into our refinance guide to find out everything you need to know about how to refinance. Home Buyer’s Guide. First-time home buyers can get all the information they need about purchasing a home through our easy-to-understand guide. Refinance Guide. 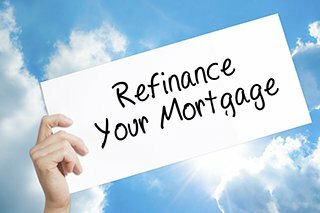 Are you thinking about refinancing a home? here’s everything you need to know about the process of applying for a refinance. Mortgage Calculators. How much home can you afford? Use our mortgage calculators to estimate what your mortgage payments will be with current rates. Current Mortgage Rates. Find your rate and lock it in now, with our current mortgage rate information. The housing market moves fast — you have to move fast, too. Whether you’re purchasing your first home or you’re investing in real estate, the more you know about the process, the better. This home buyers guide will give you some additional information that you might need to navigate the process. If you want to change the terms of your mortgage or cash in on your equity, a refinance is often the best way to accomplish your goal. However, the refinance process can be confusing at first, especially if you have never refinanced a loan before. Calculate your mortgage payments whether you’re a first time home buyer looking to find out what you can afford, a veteran looking for the best rates, or a currently home owner looking to see how much you can save by refinancing or adding additional payments each year to speed up your loan payoff, we’ve got a calculator for you. From FHA loans to USDA loans, and from Fannie Mae loans to Freddie Mac loans, we have versatile loan products intended to meet everyone’s needs. Whether you’re purchasing a large, luxury home or a homestead on which you want to build, there’s a loan package that’s waiting for you. Our loan products have competitive interest rates, low down payments, and extremely favorable terms. We can even offer information regarding a refinance loan and reverse mortgage loans, depending on your home needs. Our jumbo loans, VA loans, and Fannie Mae loans can be used on a wide inventory of properties. Not having a down payment or having bad credit is not going to disqualify you from getting the home that you deserve. We have numerous loan products, such as USDA loans and VA loans, which have extremely flexible requirements. You won’t know what you qualify for until you check it out. We also offer jumbo loans for those who are interested in purchasing luxury properties and Fannie Mae loans and Freddie Mac loans for those who are interested in recovering and rehabilitating distressed properties. Sometimes you want to build your own home, customizing it to the needs of your family. With our Fannie Mae loans and FHA loans, you can purchase a property and renovate it. You can even acquire home equity loans to make alterations to your existing property, or get a refinance loan on your property to save money and afford a renovation on your own. 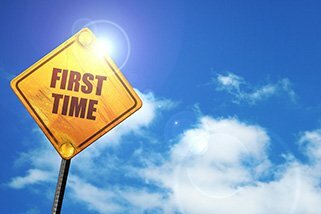 If you’re purchasing your first home, FHA home loans can give you the best mortgage rates with low down payments. FHA home loans require only 3.5% down, making it easier for you to purchase a home and begin building equity now. You can complete an FHA refinance to get more favorable terms, or finance to conventional loan later to remove PMI. An FHA loan application will tell you everything you need to know about how much you qualify for. FHA loans are designed to help first-time home buyers purchase a home with a reasonable credit history and a low down payment. Nearly any single-family home can be purchased with an FHA loan, and town homes and condominiums are also possible. FHA loans are only for owner occupants, but have a further advantage of letting you rehabilitate a property. You can purchase a property that needs work with an FHA 203(k) rehab loan, which gives you an amount for renovations and repairs. If you want to save money on your monthly mortgage payment, it may be time to refinance your home loan. You can refinance loans for better interest rates or longer terms, both of which will lower your monthly payments and give you more room to save. You don’t always need to have a better credit score to refinance loans, you just need to have a solid financial history and a good history of repayment with the loan that you have. When you set your refinance home loan terms, you can set lengthier terms on your existing loan, so you pay less every month. You can also make your loan term shorter, so you can pay off your loan faster — and get better refinance mortgage rates. Your refinance mortgage rates will depend not only on your credit and your financial history, but also the current market. If you purchased your home during a time of high interest costs, refinancing may garner you lower rates even if your financial situation hasn’t changed. You can even refinance for extra cash. It’s possible to refinance your home up including your current equity, thereby getting cash back on your property. This lets you get an easy home equity loan, useful for home improvements or major expenses, such as medical bills or college tuition and fees. If you qualify for a VA home loan, you can get the home of your dreams with 0% down. VA home loans offer easy approval for active and retired veterans. A VA home loan has low rates and extremely flexible requirements. There are no set credit and financial VA loan requirements; instead, the entirety of your loan package will be considered. As long as you can afford the home you’re applying for, you’re likely to be able to get a loan. VA mortgage rates are extremely comparable to conventional mortgage rates and they don’t require private mortgage insurance. Private mortgage insurance can cut a significant chunk off of how much home you can afford. With low VA mortgage rates and no PMI, this is one of the most affordable home packages available.